Expo 2015 and the Italian Pavilion, in collaboration with the Italian Ministry of Labour and Social Policy, are promoting two contests about food. The first one is dedicated to the launch of a startup about food. It is called “Start up Food” and it will collect ideas for entrepreneurial startups that value food, its processing and sale. Three of the selected ideas will be awarded with a 15.000 euros prize each, with the purpose to launch the startup. Moreover, the winners will benefit from specialized complement services, dispensed by the employment services in charge, for the creation of the enterprise. The second one, “Movie your Food – Young Video Maker”, will involve young people in projects and initiatives, promoted by the Youth Guarantee. The first three trailers in the rank will be awarded with a two 2.000 euros prize each, to be spent for the attendance of educational activities (such as master’s programmes or improvement courses) to be identified and proposed by the winner. To every winner will be given visibility in the scheduling and in the calendar of the Italian Pavilion’s events. 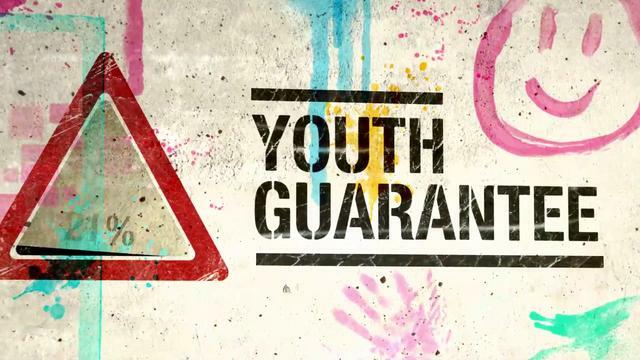 Young people between 15 and 29 years old can apply to both contests, if they have adhered to the Youth Guarantee Programme and if they are endorsed by an Employment Services Office. In order to apply, it is necessary to log in with your own credentials in the Cliclavoro restricted area and fill in the fields “Start Up Food” or “Movie Your Food”. Deadline: July the 10th, 6pm. Il Ministero del Lavoro e delle Politiche Sociali, assieme a Expo2015 e al Padiglione Italia, promuove due contest in scadenza il 10 luglio. Entrambi riguardano il cibo e le sue trasformazioni, tema dell’esposizione universale milanese di questi mesi. In particolare, il primo (Startup Food) offre la possibilità di lanciare un’impresa a vocazione alimentare, mentre il secondo (Movie your Food) offre la possibilità a giovani video maker di frequentare corsi di specializzazione o master. Per maggiori informazioni, visitare il seguente link. Few weeks ago, Pope Francis published an encyclical, a historic document through which Saint Peter’s successors communicate something important to his religious community. With this last encyclical “Laudato Si’”, Pope Francis explicitly refers his words to the whole mankind. Maybe because he is realizing that we are slowly but seriously destroying our planet Hearth. Actually the full name of the document is “Encyclical letter Laudato Si’ of the Holy Father Francis on care for our common home”. Almost every media of the world is talking about it, and two very interesting articles has been published on The Guardian. One of these articles describes the Pope as “Naomi Klein in a cassock”, referring of course to the worldwide famous activist, and author of the books “No Logo” and “This Changes Everything: Capitalism vs. The Climate”, for her positions against corporate globalization and corporate capitalism. To be honest, the Holy Father should have cited Naomi Klein in his bibliography! Of course, the encyclical is drawing the attention of Italian media and institutions too, and a precious comment on it has been made by Edo Ronchi, president of the Italian Sustainable Development Foundation. In his comment, Ronchi really appreciates the encyclical since he comes to say that “after this encyclical, it will be difficult to be ecologists without being a bit Franciscan”. Ronchi states that “the first thing of the Encyclical that affected me is its wide, updated and accurate exposition of the main problematic environmental issues of our time: from the environment’s pollution to the waste (with a precise reference to a necessary circular production model), from the issue concerning the availability and quality of water to the loss of biodiversity, from the seas’ pollution to the deterioration of the quality of life, even touching issues about urban mobility”. Ronchi’s comment examines most of the themes in the Encyclical and, in my opinion, he identifies the most important theme of the Encyclical, that is clear when he states: “pay attention to do not misunderstand the word de-growth in the Pope’s proposals. Some activities and realities must de-grow (the ones with a high environmental impact), others must grow (the innovative ones with a less or zero impact), but always leaving the economic growth priorities myths without environmental and social quality. It seems strange that him (Pope Francis) does not explicitly name it, but it seems clear to me being the green economy’s vision. Moreover, Ronchi writes something that is familiar with LabGov’s project: “Finally there is the most trenchant part of this Encyclical, the one that concerns all the grass-roots actions from local communities, from families, from good behaviours, from consumption models and from lifestyles. In order to take care of our common home new laws are not enough, indeed everyone’s effort is essential”. 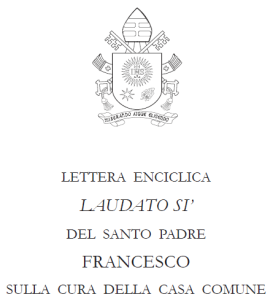 The full Encyclical is available at this link. If it is true that a revolutionary co-cities’ movement is growing up day by day in Italy, it is even more than true that at European level the discussion is going ahead at the same serious level. And, who is familiar with the EU institution’s offices, is admiring to and staring at what is happening in the first Italian collaborative city, that is Bologna, followed by other beautiful local examples such as Mantova, Battipaglia and Palermo. Why I am sure about this? Because professor Iaione, who coordinates LabGov, will travel another time around Europe (two months ago he took part in another ECF’s event, in the Netherlands) to discuss with European activists, policy makers, researchers and scholars about Urban Commons, a theme theorized in 2011 by professor Sheila Foster who will coordinate 2015/2016 LabGov’s edition with professor Iaione. Actually, during the past months they have constantly shared their ideas, compared their projects and finally they wrote a four handed paper entitled “The city as a Commons”. In particular, professor Iaione will be part of the panel of experts during the event “Radical Democracy – a Media Showcase”, co-hosted by Julie Ward (S&D Member of the European Parliament) and the European Parliament Intergroup on Public Services and Common Goods, in cooperation with the Doc Next Network and the European Cultural Foundation. Sophie Bloemen (Commons Network) and Carlos Delclòs will enrich the event, together with professor Iaione and Julie Ward, which will take place in the room “Altiero Spinelli” A3H-1 at the European Parliament, in Brussels. The event will be moderated by Peter Matjasic (OSIFE). It will be also an innovative event during which, after an introduction, some videos about Commons in European cities will be shown, followed by brief reactions from the discussants and a debate. Why it is worthy to organize such events?And how this was possible? 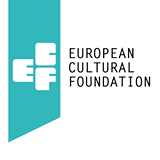 Because, as the European Cultural Foundation states, “on the occasion of the European elections in May 2014, the Radical Democracy project invited media makers, social activists and critical thinkers to submit audiovisual media works about the Europe they would like to live in. The 250 videos submitted expressed a profound, widespread desire to remake democracy from the bottom up by claiming public spaces, occupying buildings, renovating neglected parks and reshaping them all with a radical democratic spirit and principles. 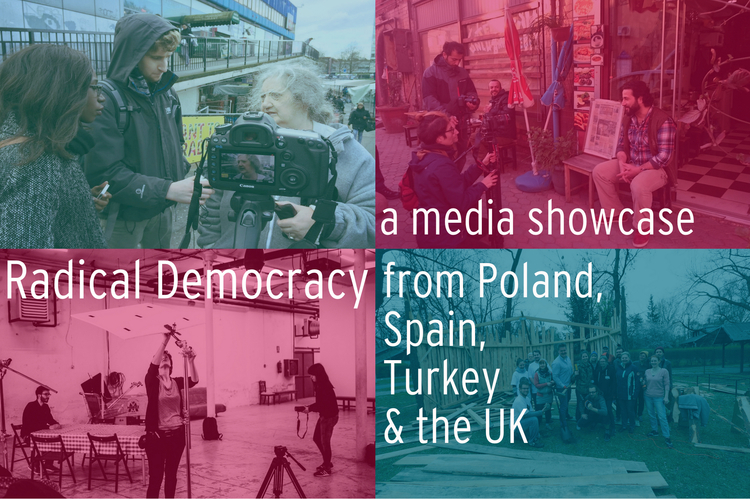 With this showcase and debate, we aim to contribute to the dialogue between Members of the European Parliament, media makers, campaigners, activists and citizens, for improving our democracy through enfranchising citizens to reclaim and improve the urban commons”. Se è vero che in Italia è nata e si stasviluppando una rete delle città fondate sulla collaborazione, è altrettanto vero che in Europa la discussione procede a vele spiegate, con la recente formazione di un intergruppo Europarlamentare sui Commons che inevitabilmente guarda all’Italia come un esempio da seguire. Se ne parlerà oggi, 16 giugno, a Bruxelles, nell’aula A3H-1 del Parlamento Europeo, durante l’evento “Radical Democracy – a Media Showcase”, cui partecipaerà il professor Christian Iaione, coordinatore di Labgov, assieme a Julie Ward, Sophie Bloemen, Carlos Delclòs e Peter Matjasic. Environment, land use and agriculture are particularly relevant issues to discuss in these months. This is due to Expo Milan 2015 and all the discussions carried on about our environment and the way in which all of us are (not) taking care of it. But, with this short article, we want to support and share an initiative that contrast one of the worst issue that hamper agriculture in some of the southern Italian regions. It is the caporalato, a criminal phenomenon through which immigrants are used and forced to work in the fields irregularly. This wonderful initiative is promoted by three southern Italian realities, Diritti a Sud (from Nardò, Lecce), Netzanet-Solidaria (from Bari) and Osservatorio Migranti Basilicata – Fuori dal Ghetto (from Venosa and Potenza) that together are producing tomato purée’s bottles with the common label SfruttaZero on them. They are spreading their crowdfunding campaign in order to buy raw materials, tools and machineries, and to share their idea, that is “to realize a honest production chain of the tomatoes from the seeding to the transformation”. Thanks to this initiative, they are producing high quality tomato purée without mistreatment of the work, in this case, of the immigrants. They want the red gold to become “icon of emancipation, release and hope in a different future”. What will they do with the money raised? They will buy or grow hundreds of kilograms of tomatoes, ensuring that the workers will be regularly paid. They will transform the tomatoes into tomato purée with the required tools and following the hygienic and sanitary conditions. In bottling, they will use recycled bottles. They will self-manage the distribution in ethical purchasing groups, in local markets, in popular restaurants and canteens and inside the Genuino Clandestino network. After these good premises, they are willing to experiment a peculiar form of shared self-certification to safeguard who will support and consume the SfruttaZero tomato sauce, thanks to the creation of a path of mutual monitoring on themes concerning the quality of the work. The Caporali (recruiters of day labourers) will not have space and will be defeated thanks to this great and promising path.  To support the project, you can visit the ProduzioniDalBasso web page or simply share the project through the social networks! Thanks to the development of technology, our cities are slowly changing their image, their places but most of all the way in which they provide services for the citizens. According to the dictionary of the Social Innovation (published in Italian by Mixura), generally, a smart city is a city in which the intelligence lies in an innovative conception of the economic and social profiles, and it is a city where new governance strategies are adopted and a city that uses advanced technologies as tools (such as networks, cloud services and intangible infrastructures). Smart cities are attractive hubs for sustainable assets and high competences. Their raw materials are shared information and knowledge and, at the core of their governance actions, there are related goods and citizens’ inclusion. Smart cities are characterized by the combination of six factors that are smart economy, smart people, smart governance, smart mobility, smart environment and smart living. In Italy some cities have adopted an institutional way to the transformation into smart cities, and some time ago we talked about the transition and the policies to be adopted by the Municipality of Milan, here. That being said, I know shift to a question that is not adequately took into account, in my opinion, that is waste management. Basically, the question is: how a smart city manages all the questions related to the waste? The best answer so far is the one provided by a Finnish start-up, Enevo, which has developed a system through which optimize the waste management using technologies. The system is very simple and brilliant. Through some sensors in the dustbins, the usual trucks don’t go to every place where they are supposed to go to collect the waste, but they just collect the dustbins that are going to become full. This could sound a bit ridiculous, but it is not fantasy. Actually, Enevo recently won 8 million dollars of international funding to expand its service and it is already in use in dozens of cities in Europe and North America. Do you want to change your city into a real smart city? Among the other things, these are the people you will have to be in contact with, then! Una vera smart city, per definirsi tale, non può che affrontare anche il problema dello smaltimento e della gestione dei rifiuti. Una risposta semplice, ma geniale allo stesso tempo, ce la fornisce una start-up finlandese di nome Enevo la quale, grazie all’uso della tecnologia e alla efficiente gestione dei dati, è riuscita ad ottimizzare proprio la gestione dei rifiuti. Il sistema è già in uso in decine di città in Nord America e in Europa, avendo ricevuto finanziamenti per oltre otto milioni di dollari.